This post is by contributors Jeff Dunetz and Joe Newby. 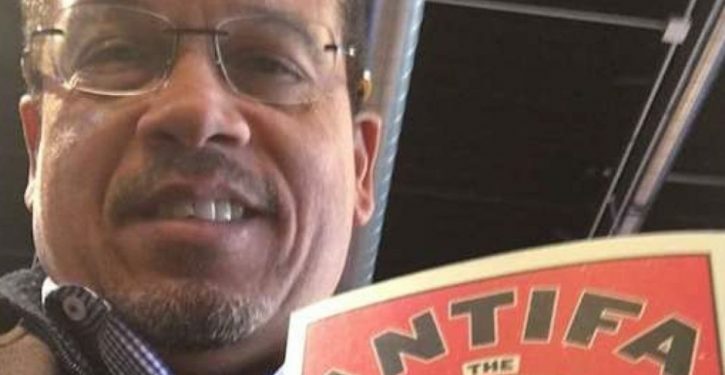 On Wednesday, Rep. [score]Keith Ellison[/score] (D-MN), the Deputy Chairman of the Democratic Party, issued a tweet in which he endorsed an Antifa handbook — saying the book about the violent communist movement will “strike fear into the heart” of President Donald Trump. “At @MoonPalaceBooks and I just found the book that strike fear in the heart of @realDonaldTrump,” he wrote. Is Ellison publicly endorsing violence against the president? It sure seemed that way to quite a few on Twitter. Actually, Antifa doesn’t just advocate violence — they’ve engaged in it – often. “A terrorist manual should concern the president. Especially in the hands of a member of Congress,” added media analyst Mark Dice. Dice is on to something here. As we and others reported, the New Jersey state Department of Homeland Security has labeled Antifa a domestic terror organization and federal authorities have said the group engages in domestic terror activities. What’s scary is that Ellison — who also happens to be the deputy chair of the DNC — actually seems to be endorsing this. Members of Antifa believe that violence is justified when used against political foes or to send a message during protests. Many claim that violence against “fascists,” or anyone to the right of Karl Marx, is justified as self-defense from an imagined threat. From rioting and causing over $500,000 in property damage to the area surrounding University of California at Berkeley to prevent Milo Yiannopoulos from speaking to bashing a stranger over the head with a bike lock for the crime of supporting our president, members of Antifa have become increasingly willing to use violence for political aims since the election. Antifa is a far-left group that uses violence to achieve progressive political ends, including starting riots and fires at the University of California, Berkeley. While the group claims to be anti-Fascist, they routinely shut down the speech of people they disagree with. Antifa clashed with far-right protesters in Charlottesville, Virginia, last year. According to Bray, it is acceptable to use violence against “fascism” because what he considers to be fascist ideas — like those shared by right-wing provocateur Milo Yiannopoulos — aren’t worthy of debate. So you support fascism? Because antifa is nothing more than fascism disguised as anti-fascism. Why don't you just say you hate the Constitution and individual civil liberties such as "dissenting" free speech? You might as well be dressed in an SS uniform. Antifa is a terrorist organization. You are promoting violence, division and hatred! That is not what a US representative should be doing. You should be promoting unity. You need to resign! Better yet, perhaps he should be censured by Congress for promoting violence. The support of Antifa is a change for Ellison; generally, the congressman supports international as opposed to domestic terrorist groups. See, for example, Ellison’s connection to Muslim Brotherhood/Hamas associated groups such as MAS, CAIR, and ISNA. (MAS even paid for his Haj to Saudi Arabia). CAIR deserves special scrutiny because of documented proof that it was founded by members of a U.S.-based Hamas support network created by the Muslim Brotherhood. The Council on American-Islamic Relations (CAIR) was tied to international terrorism and Hamas during the Holy Land Foundation trial. 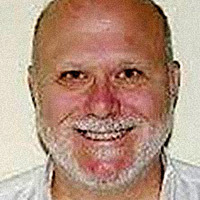 In 2008 a jury convicted the Holy Land Foundation and each of the associated defendants of raising money to fund Hamas terrorism. Implicated along with those convicted was supposed civil rights organization CAIR, scion of the Muslim Brotherhood, which lobbies the government from its headquarters in Washington D.C. Despite the fact that CAIR was named an unindicted co-conspirator in the Holy Land case, its leaders are frequent guests on network news programs, where they are usually called upon to whitewash some terrorist act. These days they can be found marching in parades to honor our military heroes, some of whom fought in the war on terror. CAIR’s access reportedly could be restored if it pledged not to support Hamas. But CAIR officials have rejected that pledge. Parts of this post, by Joe Newby, were originally seen at Conservative Firing Line.